I must have looked funny to those walking along the promenade as I crawled under the railing, camera in hand, and lay flat on my stomach on the edge of the high barrier wall. I could feel eyes boring into me while I precariously balanced my camera on the edge of the concrete slab, eye glued to the viewfinder. 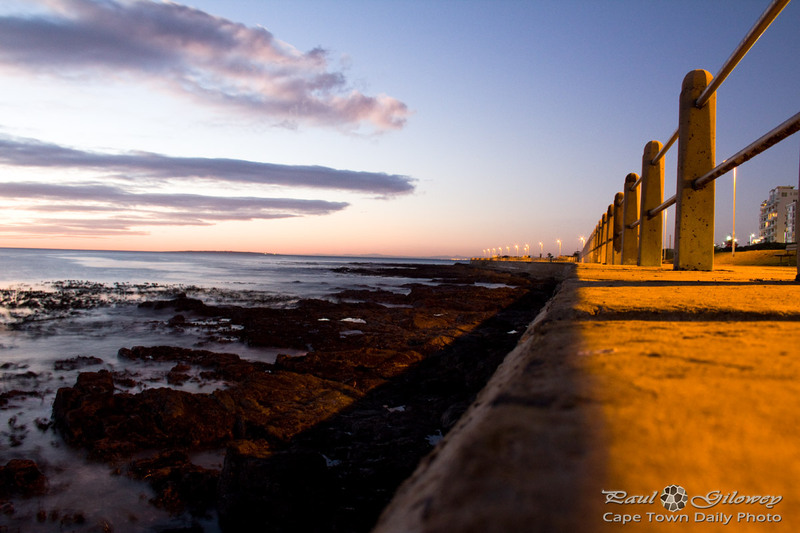 Posted in General and tagged railing, rocks, sea, sunset on Wednesday, 18 July, 2012 by Paul. All that crawling around definitely paid off. This is a stunning photo.